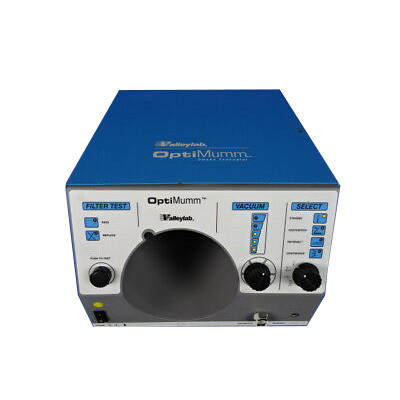 The OptiMumm Smoke Evacuator is the centerpiece of a complete smoke evacuation system when used with the AccuVac Smoke Evacuation attachment, Valleylab's Universal Mounting System, and either the Force FX Electrosurgical Generator or the Force EZ Electrosurgical Generator. Quiet: Effectively filters and removes surgical smoke without creating additional noise in the OR. 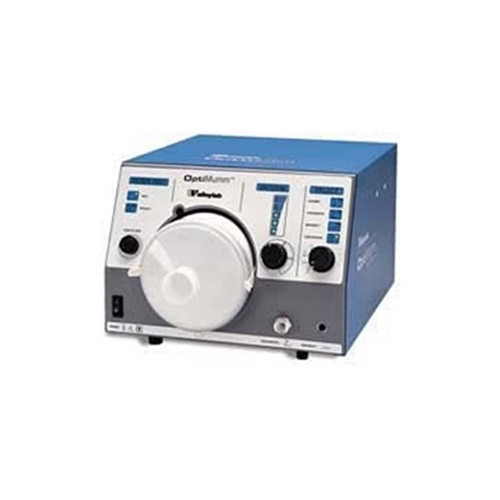 ValleyLab RapidVac System: Synchronize the OptiMumm Smoke Evacuator with your electrosurgical generator, so the smoke evacuator will work automatically when the generator is activated. Efficient: Designed specifically for use with the AccuVac Smoke Evacuation attachment to effectively capture and filter smoke directly at the surgical site. 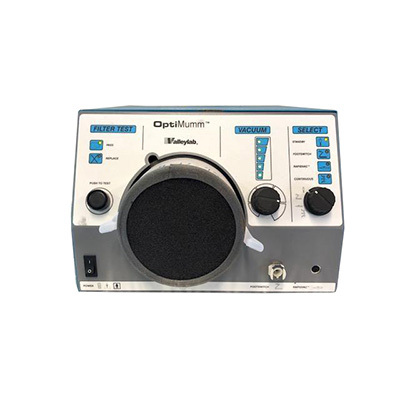 Convenient: Designed with an easy to read front panel and a user-friendly interface. The ULPA and prefilter are easy to access and set up. 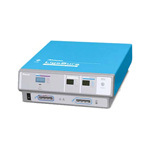 Compact: Integrates conveniently into the OR. The system fits directly on most Valleylab mounting carts, saving valuable OR space. ULPA: 99.999% efficient at 0.12 microns integrated charcoal component with CTC rating of 62. Prefilter: rated for 0.3 micron filtration. Airflow is measured at sea level.